Silicon Valley veteran Karen Wickre is the former Editorial Director at Twitter, where she landed after a decade-long career at Google. An advisor to startups and a lifelong information seeker, she is a member of the Board of Visitors for the John S. Knight Journalism Fellowships at Stanford University, and serves on the boards of the International Center for Journalists, the News Literacy Project, and the Yerba Buena Center for the Arts. She has been a featured columnist for Wired.com and is a cofounder of Newsgeist, an annual conference fostering new approaches to news and information. She is the author of Taking the Work Out of Networking and lives in San Francisco. 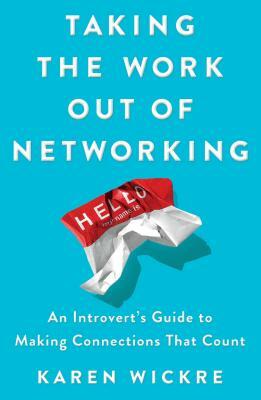 "Practical, delightful read... Full of insights and helpful tips, especially regarding social media, this is the perfect book for anyone in the midst of a career transition or considering one." —Ted.com, “TED’s winter reading list"